It’s never too late to learn how to play music or sing and reap its benefits. Music is a great stress reducer and can even increase your IQ according to several studies, so why put off that dream of playing guitar, bass or learning to sing any longer? Spoil yourself, you deserve it! I’ll show you that learning music need not be all hard work but rather an enjoyable journey without plateaus. With my lessons you will experience a steady long term improvement with measurable results each week. We will utilize the precious free time you have to practice better and in a way that will have you learning more efficiently than with other instructors out there which in the end will save you money and give you the tools needed to keep progressing with your music for the rest of your life. With my customized music lessons in all styles you will learn to make the music you want, faster, easier, and at an affordable price. 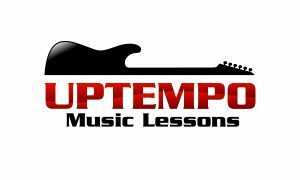 Learn to play ANY song you want, learn theory, improvisation, and technique from beginner to an advanced level. Learn how to write your own songs. I offer private lessons, group lessons and lessons over webcam via Skype. I have several price points available which I can send you if you email me at edsguitarlessons@hotmail.com or give me a call at 604-910-0604.